There are literally hundreds, if not thousands, of Christmas markets held across Europe every year. But there is one city in France that claims to be the Capitale de Noel. Strasbourg, in the northeast of the country, sits close to the German border, and certainly has the pedigree. 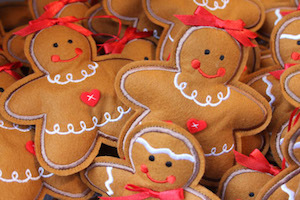 It’s been holding special festive markets since 1570, making it one of the oldest and largest in Europe. These days around 300 decorated cabins are set up at various locations around the city center and its Gothic Notre Dame Cathedral. As we arrive, security is tight after the deadly terrorist attacks in Paris just two weeks before. Police man checkpoints on all the bridges that lead into the historic part of the city that is literally on an island. Armed soldiers patrol the busy streets making sure the hundreds of thousands of visitors feel safe. But despite all of this, the French still have time for the courteous things in life. A motorcycle cop stops to talk to three local police officers, one male and two female. His first action is to take off his crash helmet and kiss each of the women on both cheeks and shake hands with their colleague. Although the Christmas lights come on early, it’s in the evening that the full scale of Strasbourg’s month-long celebration hits you. As you cross the river and wander towards the Cathedral, everywhere you look, shops, homes, and streets are decorated. 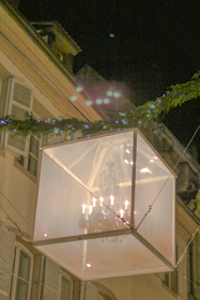 The narrow streets draw the crowds to their extravagant outdoor Christmas displays. Dodging the dangerous selfie sticks that suddenly appear from nowhere, you need to remember to look up or you might miss the highlight of one street that boasts not Christmas lights but chandeliers hanging above your head. There are tens of thousands of colored lights, special shop window displays, and a 90-foot-high Christmas tree that dominates Place Kleber, where local charities have set up their fund-raising Village of Sharing Market. And no matter which one of the 12 markets you visit, the enticing aromas of vin chaud, freshly roasted nuts, roast meats, and local biscuits fill the night air. Buskers entertain the crowds and stall holders offer Christmas decorations and locally produced gifts. As you would expect, children have a special place in Strasbourg’s Christmas event. Their village includes visits by Father Christmas, storytelling, and a full schedule of events throughout December. 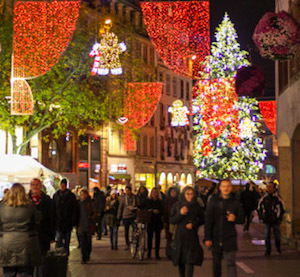 In Strasbourg, no matter what your age, you’ll certainly find a friendly Christmas welcome at a dozen locations across the city center. And the markets are only one part of a month-long celebration in Strasbourg that attracts around two million people every year. 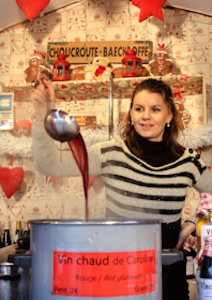 It includes a full program of arts and cultural events to mark December in the Alsace region of northeastern France. This year, the Grand Opening of the Christmas Market takes place on the 25th of November and it will remain open until the 31st of December. The Tourist Office can be found next to the Cathedral. There is a wide range of hotels to suit all budgets in the crescent opposite the main railway station.